Dane Koch joined Desert AIDS Project in 2012, assuming the role of Director of Retail in 2014. 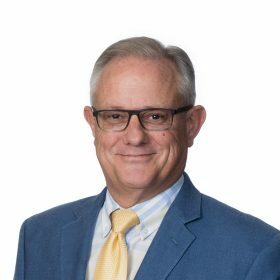 Dane brings over 35 years of retail experience, having held senior positions with companies such as Montgomery Ward and Michaels Stores Inc. In addition to his responsibilities of managing the REVIVALS organization, Dane supports the D.A.P. as a member of the Leadership Team.